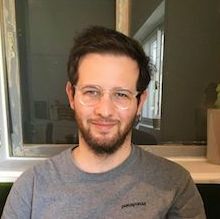 It feels like only yesterday I announced Metorik Engage, my attempt to make email automation for WooCommerce a delight - not a chore. Since then, Engage has come a long way, driven by the priceless feedback of its users. But it's been missing one crucial feature - templates. 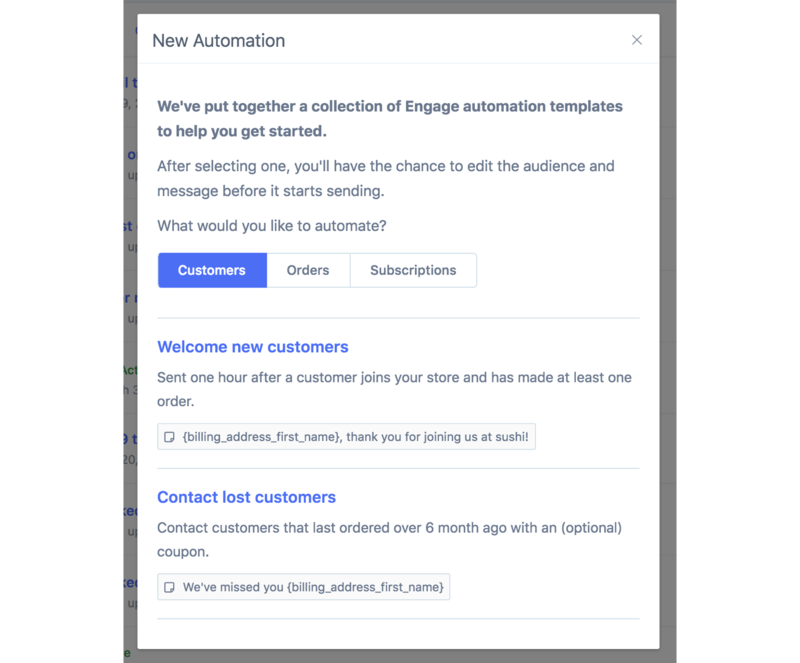 Up until today, when you started a new automation, you were thrown right into the thick of it, prompted to craft a segment of users to receive the automation and then responsible for writing the email that they'd receive. Any one who has created an email automation, be it through Engage or another platform, can appreciate that it's a pretty time consuming process. 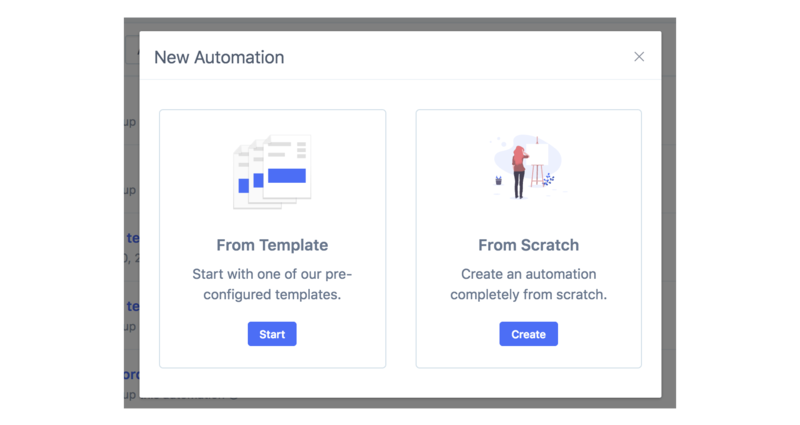 Clicking From Scratch will take you to the familiar Engage automation builder, where you'll be able to create an automation from an empty slate. All you need to do is choose which resource you'd like to automate (eg. customers or orders) and then pick a template to start with. There are a variety of different templates and many more to come. So we're targeting customers that have made at least one order and last ordered over 6 months ago. Of course, if you'd like to target customers after 9 months, you could just change the 6 to 9 and the 7 to 10. 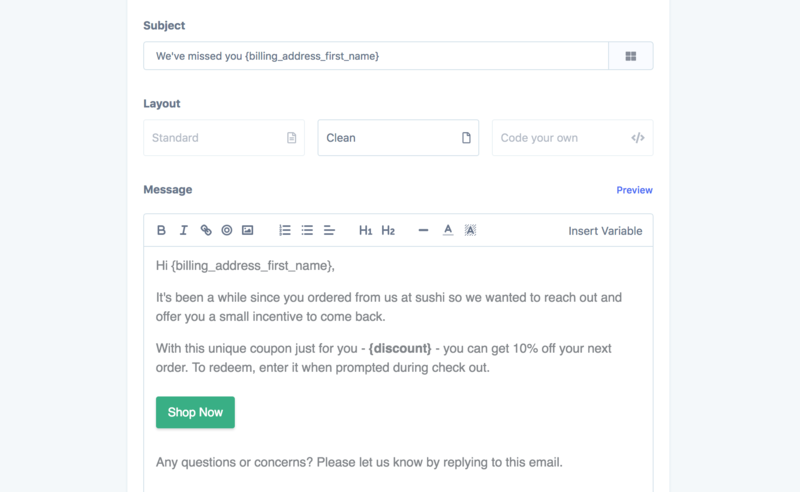 Where a message has already been crafted for you and all you need to is click the Continue button or make some tweaks to the message / discount as desired. I hope the new templates feature makes getting started with Engage easier than ever! Have an idea for a template others might get value out of it? Please send me a message as I'd love to add it. Over the past couple months, we've been working on adding cart tracking, reports, and recovery emails to Metorik. I'd always hoped to build a solution to one WooCommerce's greatest pain points - automated emails. Today, I present that solution.